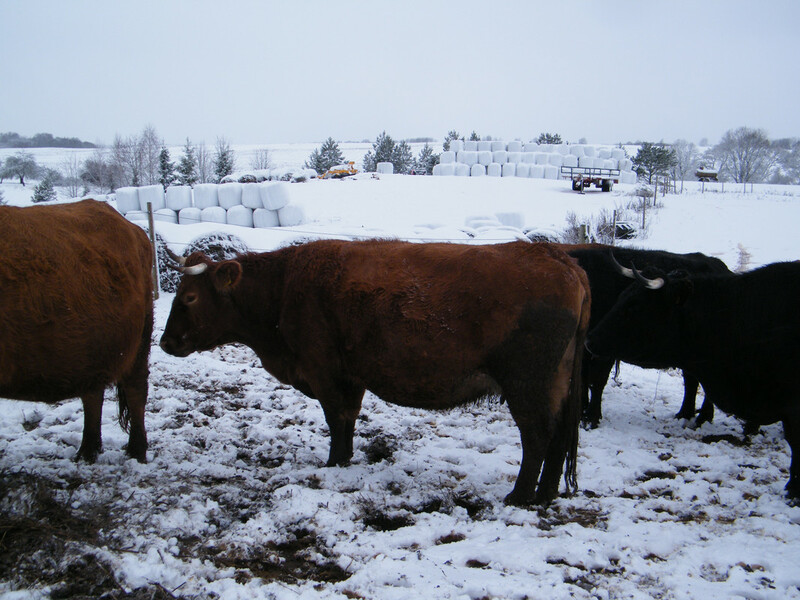 Hardly two weeks are left until the first calves hits the ground. 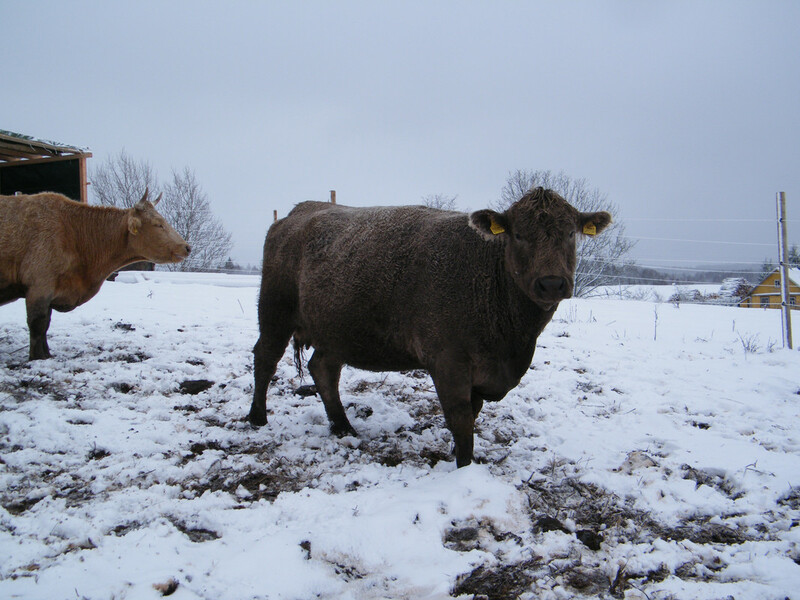 The first one is due on the 12th of January, but I have some doubts if she won't calve abit earlier. 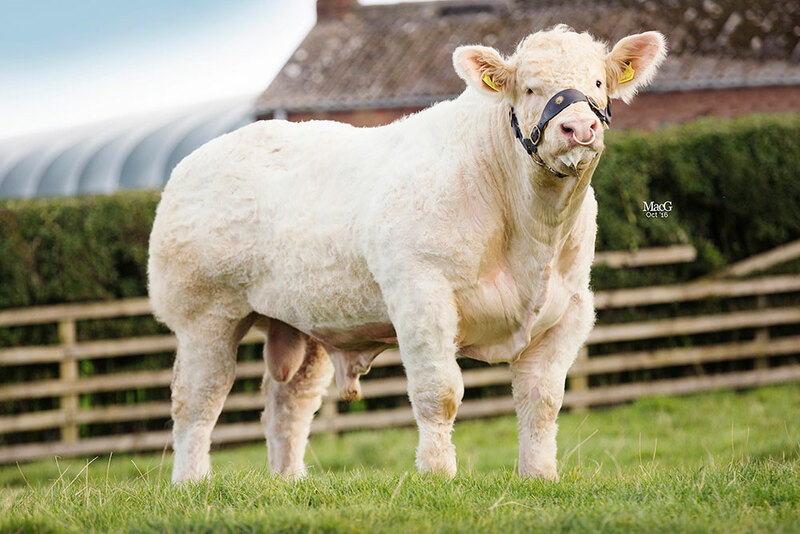 incalf to a very nice looking Charolais bull. Will be the second calf for her. 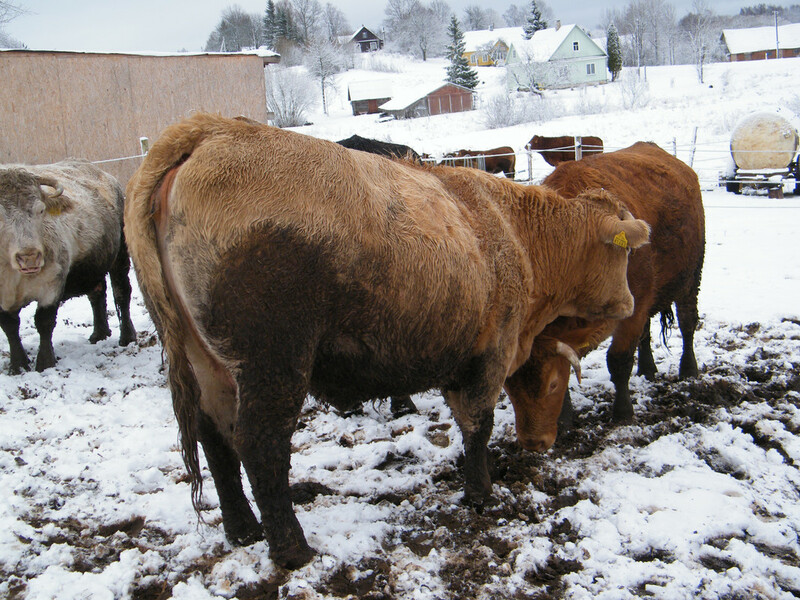 Other two cows will have calves by the same bull in January too. This one is due with BB calf. Probably will be the second cow calving. 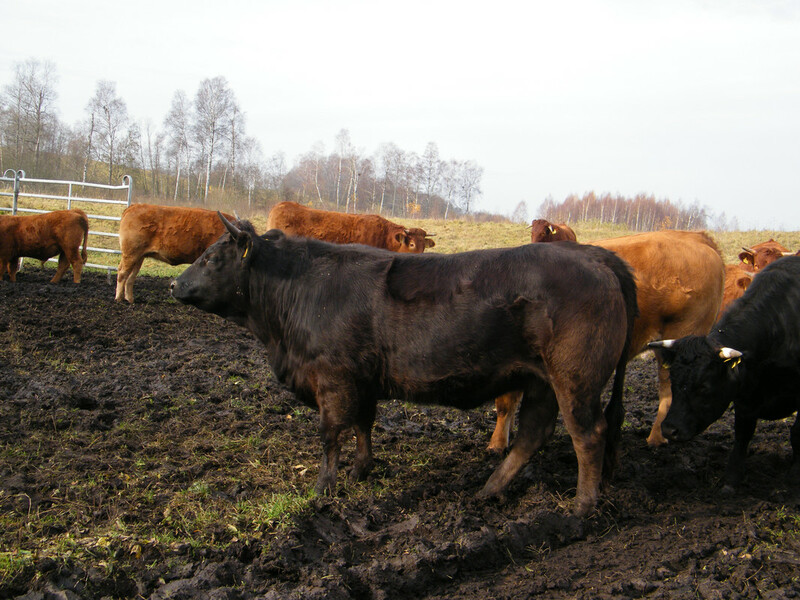 Incalf with Piedmontese. 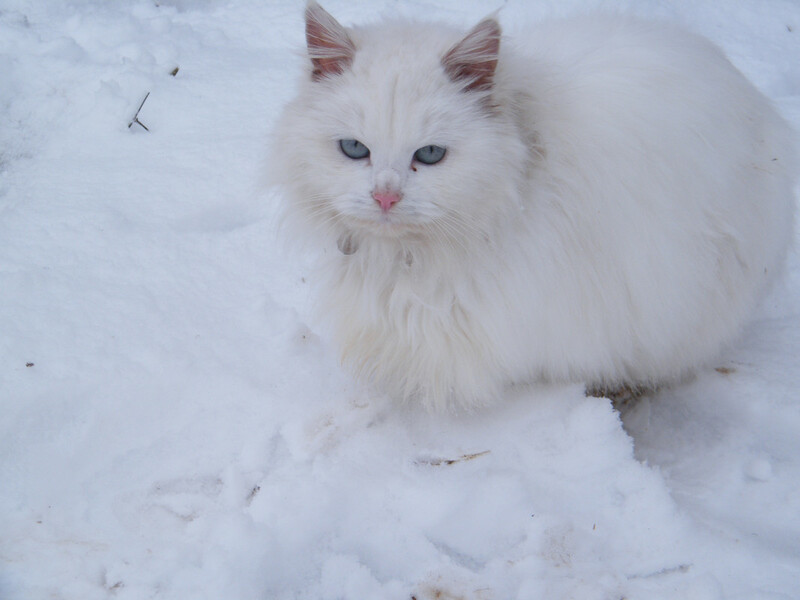 Today got some snow. 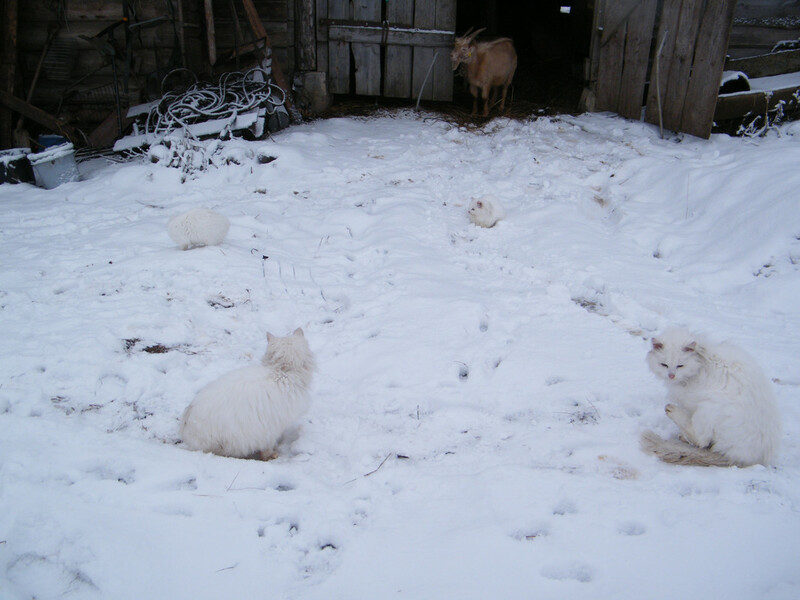 The temperature is changing every couple days from cold to warm, so it's really nasty outside. That’s a funny lookin cow in the background of the second to last picture. holm25 wrote: That’s a funny lookin cow in the background of the second to last picture. Not much of value from that "cow". Will be butchered soon. Done his job this fall and no need from him now. And so the calving season has officially started today. 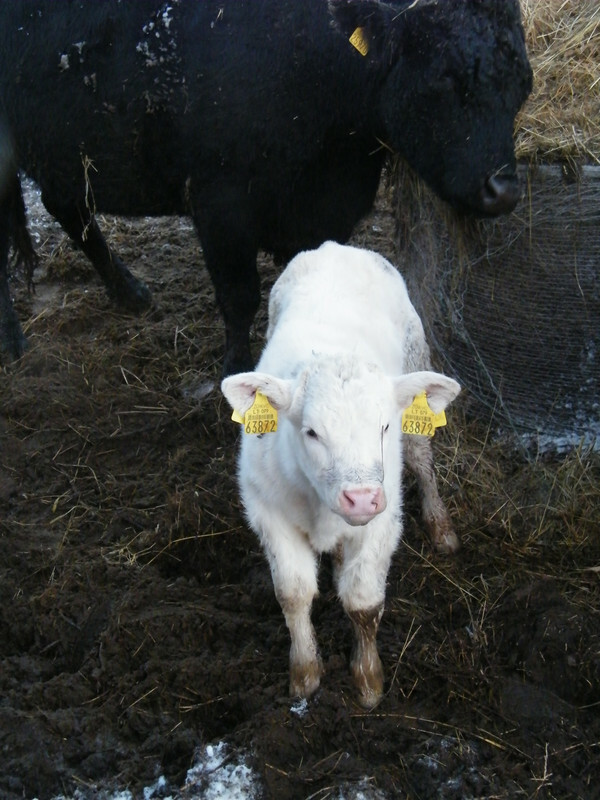 Have the first calf born this year. A lovely heifer at 280days gestation. Should be over 90lbs. Out of LimoxCharxdairy 2nd calver. No photos now as it's dark outside. Will post some tomorrow. Great - you got a heifer!! 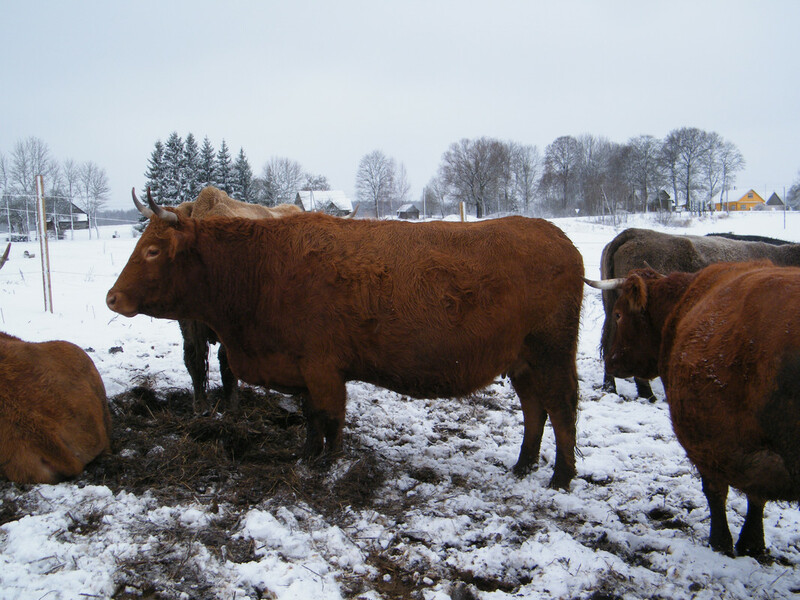 Cattle look in good shape for calving. Your feeder area looks like ours. Keeps taking 50 degree temp swings. Was 9 this morning, so, woo-hoo, can walk across the mud - carefully! 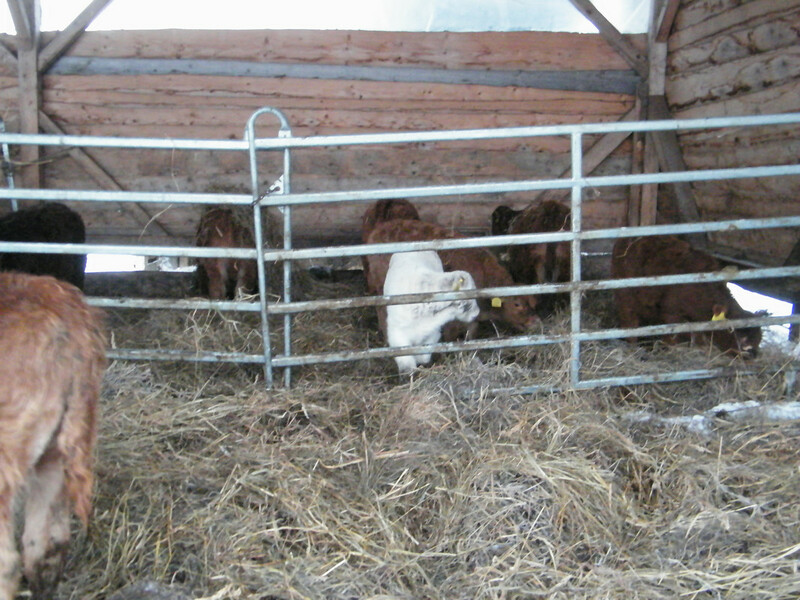 We have had 10 January calves, 8 BULLS (6 are steers), and 2 heifers. Jeanne - Simme Valley wrote: Great - you got a heifer!! 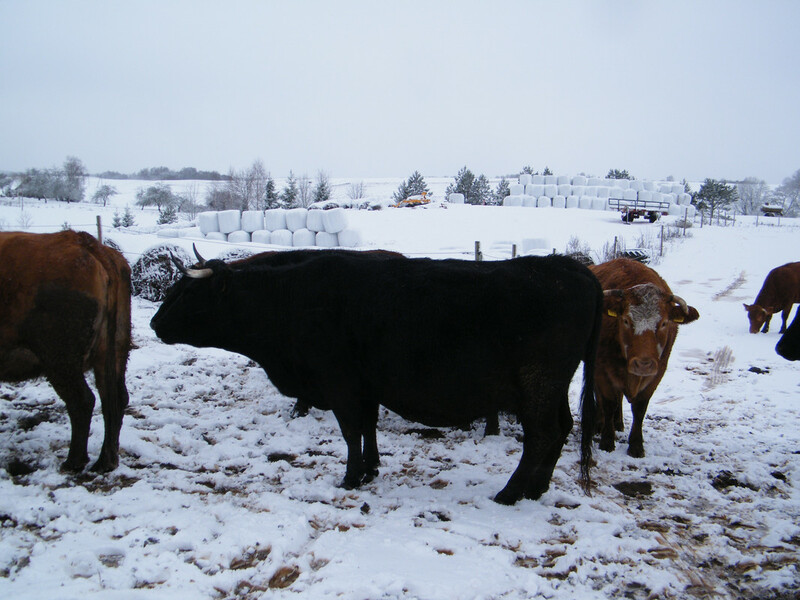 Cattle look in good shape for calving. Your feeder area looks like ours. Keeps taking 50 degree temp swings. Was 9 this morning, so, woo-hoo, can walk across the mud - carefully! Yes, very excited for the heifer. 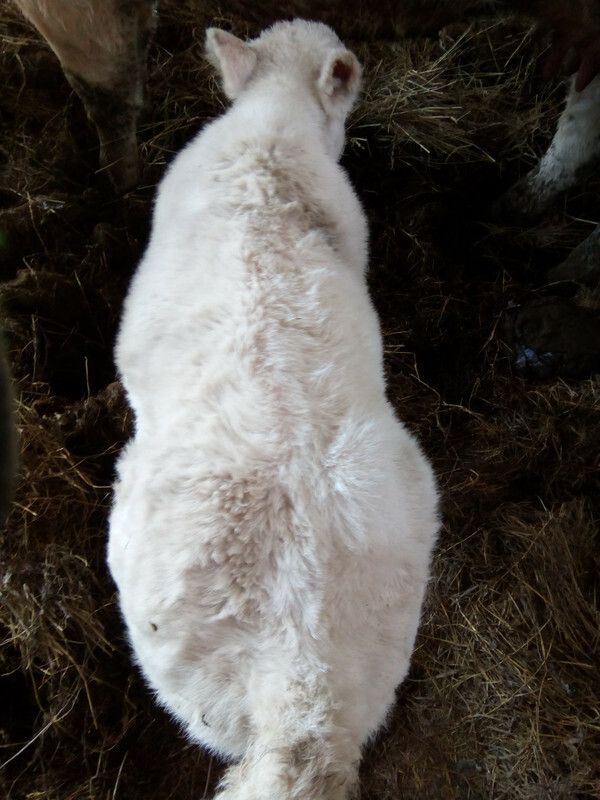 The sire's stats shows an increase of milk in daughters, so that will be very necessary, as the dam of the heifer doesn't seem to be as milky as we expected. 7 more calves in the couple following weeks and a break until March. 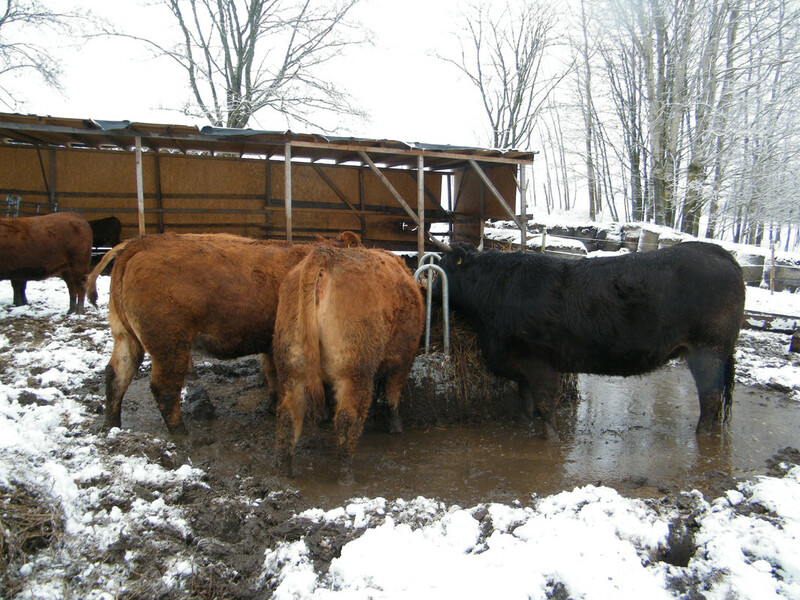 Don't like calving at this time of the year, when it is cold or muddy, or both. No proper facilities for that yet. 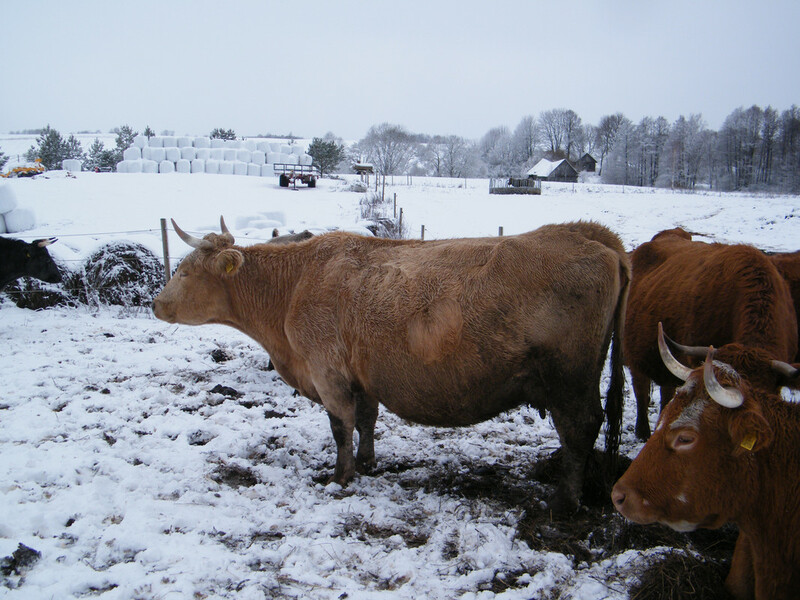 So it's very nice that almost all herd will calve in spring. Temperature here was ~10-23F for the past week or so. 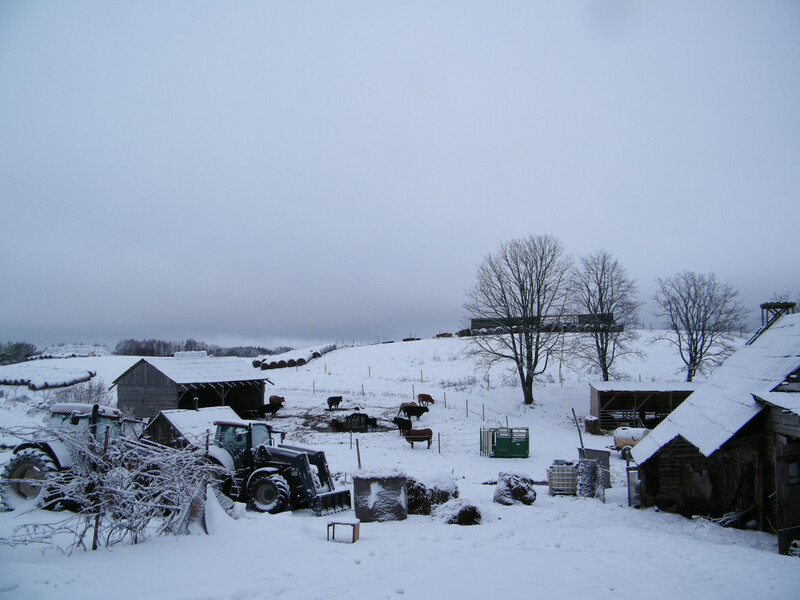 The mud is getting harder, but still not frozen enough for the tractor in some places. The weather forecast keeps showing -22F in a few weeks. Hopefully it'll change! 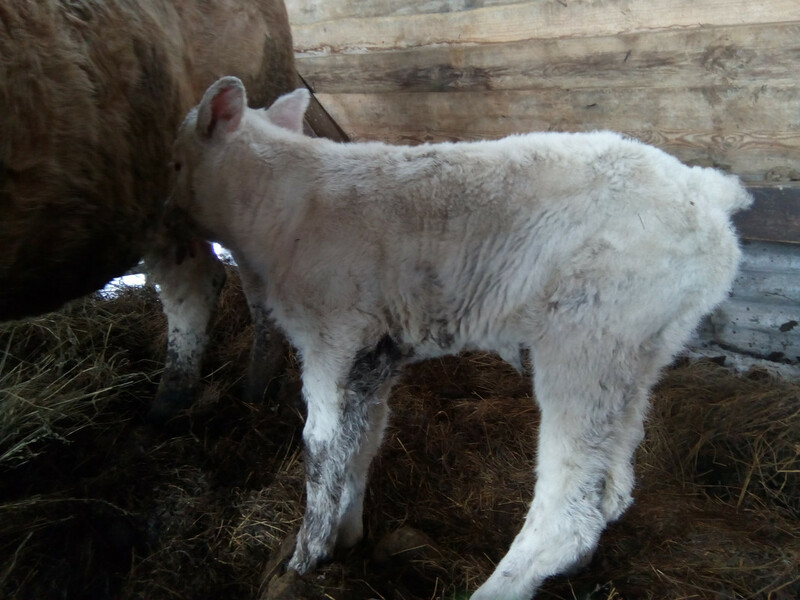 So here are the pics of the first calf of the 2019th. Can't await to see her grow. Congrats on the first calf of the season! She sure is wide. 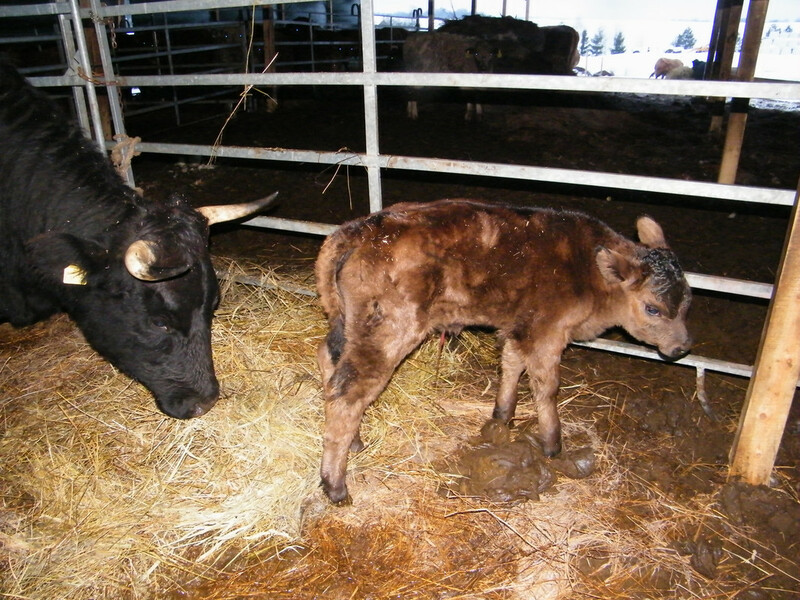 Backbone Ranch wrote: Congrats on the first calf of the season! She sure is wide. Thank you. Have been waiting for the new calves alot. 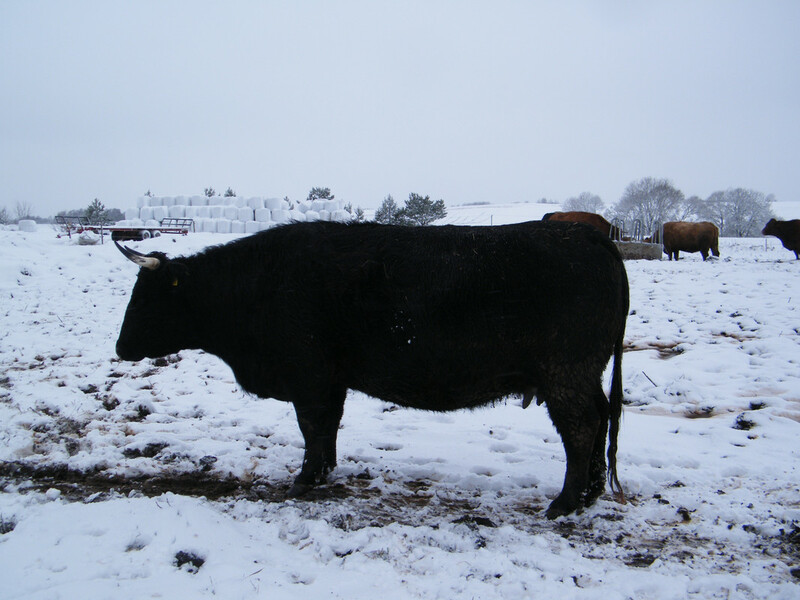 Her sire is abit easier calving than average, but as he has two copies of Q204X, he can be quite extreme when crossed with more muscled cows. 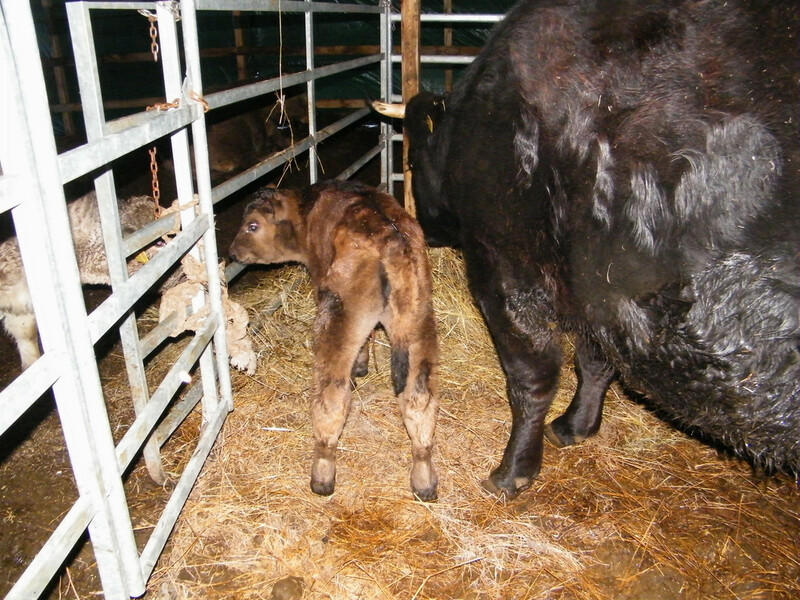 I was pretty sure that his calves shouldn't be very plain and slim at birth, as he himself is very wide. And it is very nice to see some more colour than just red and black! Pic of the sire. Should be just at abit over one year age for him in the pic. 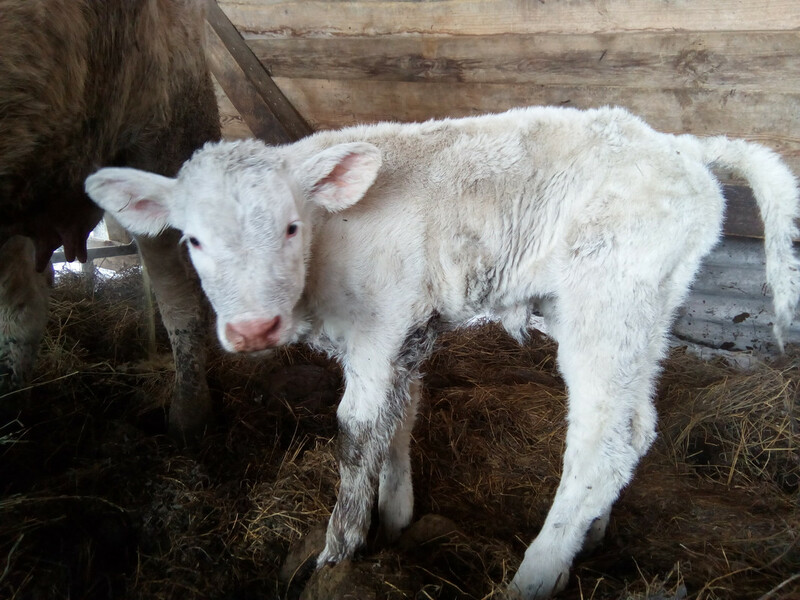 So here's the second calf of this year. Piedmontesex heifer, born at 286days last night. Probably gonna weigh her soon, but at the moment she seems to be ~90lbs. Looks like a stout little bugger. Jeanne - Simme Valley wrote: Looks like a stout little bugger. Oh, yes. She should be quite a nice one in the future. In reality she's abit wider than she looks in the photo. Her mom is a tank. And I really like her previous heifer from a Limousine bull. Can't await to see the little one grow. Really like this cow family. Have weighed the little one. Well, she's heavier than expected. 107.8lbs. 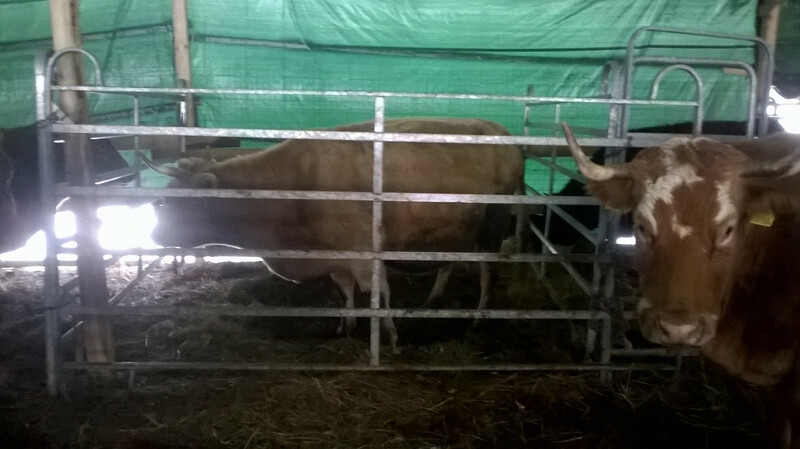 The Charx heifer has been let out from the pen with her dam. Have met her new friends. Already 11 days old and shaping up well. Getting to know other calves in their separate pen. Another one in for calving. Should have a calf by the evening. 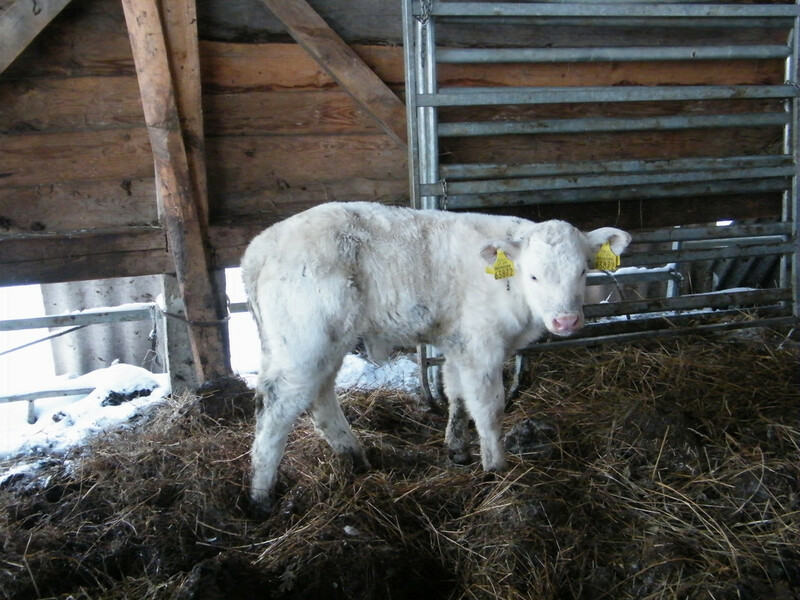 Will be another white calf, 3/4Char. 285days gestation. 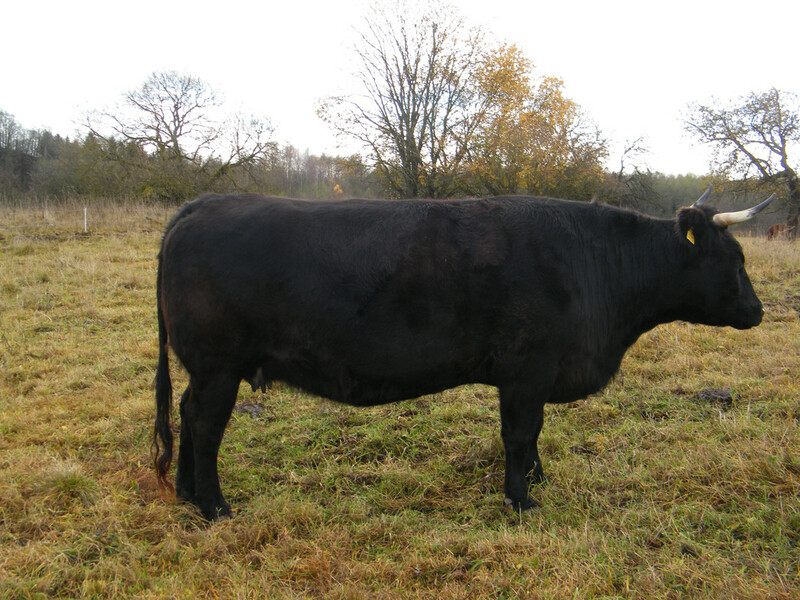 Cow is a pro at calving, 10years old, so there should be no trouble.